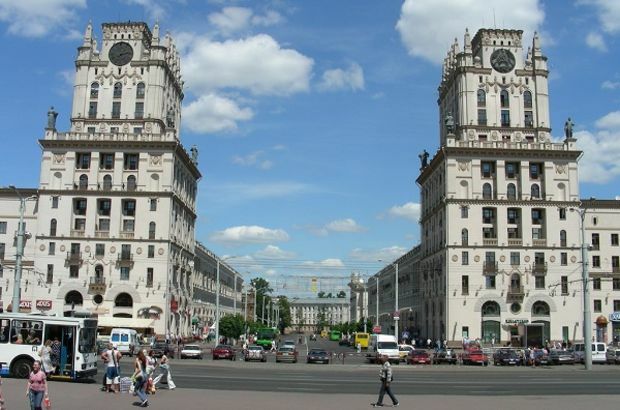 Discover Minsk – the capital city with impressive monumental buildings of Stalinist architecture. Stay in colorful Gdansk, the oldest city in Poland with a fascinating history. Spend this evening to explore Minsk on your own. The city was largely destroyed during the WW2 and later rebuild as an excellent example of Stalinist Neo Classicism with wide avenues, impressive monumental buildings, imposing squares and public gardens. Minsk is a very clean and safe city, a perfect place for curious tourists looking for cultural discoveries. We invite you for a dinner at a traditional Belarussian restaurant. Do you think you know how to cook potato? Wait before you try Belorussian cuisine! Its no surprise that it makes the perfect match with vodka. 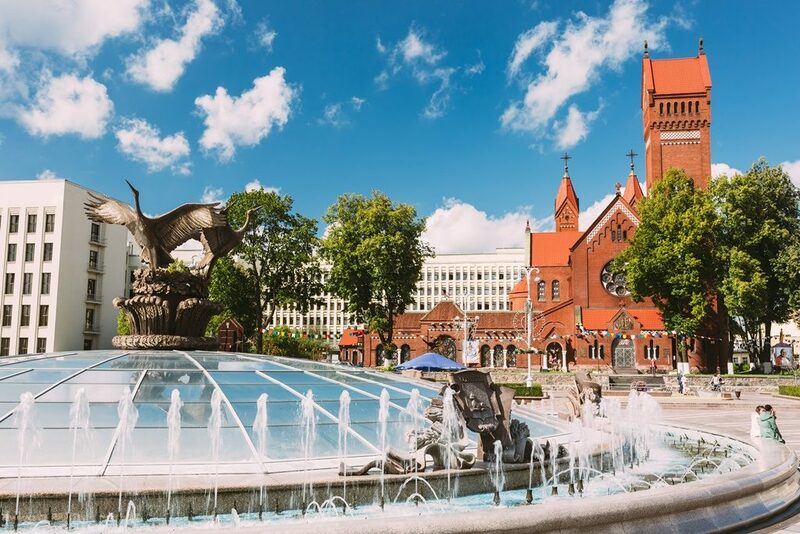 During the morning city tour you will learn about 900 years history of Minsk, see the most remarkable monuments of the historical center, as well as impressive Neoclassic architecture built to replace ruins left after WW2, i. e. Independence Square and Victory Square with its 38-meter obelisk and the Eternal Flame. Afternoon visit of the “Island of Tears” – a memorial set up to commemorate lost Belarussian soldiers, the Victory Monument and the National Library. 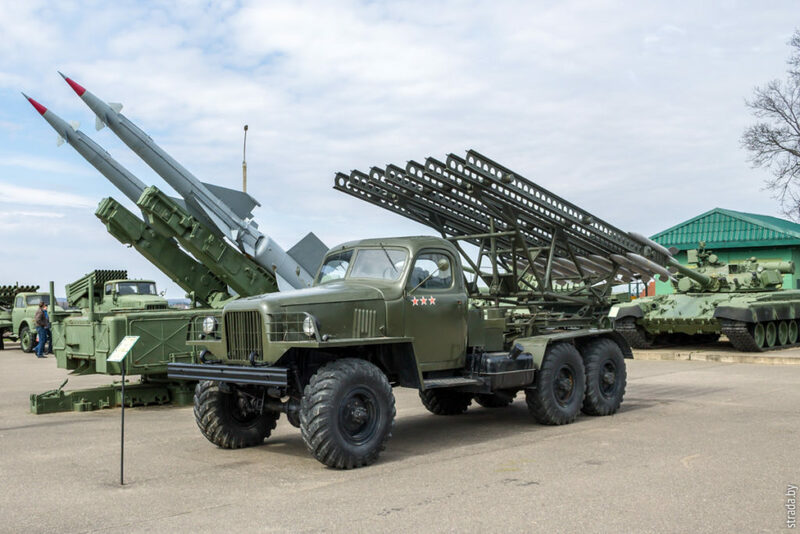 Departure to Vitebsk and stop to visit at the Stalin’s Line museum, a large open-air historical and cultural complex of the Soviet military gear, weapons and facilities. Museum guides dressed in the uniforms of the 1940s will tell you about the story behind the whole project. Afternoon city tour will introduce you to Vitebsk. This city is proud of its long history (more than 1000 years old) and the status of the cultural capital of Belarus. Creative work of Marc Chagall, the great painter of the 20th century is closely connected with this city. You will walk in cosy, old town streets, visit Marc Chaghall’s house and Art Center, see the monument to the heroes of the war with Napoleon (1812) and other historical places. Today you will learn about a different page of the Belarussian history – medieval times. You will visit the two “must see” sights in Belarus. Start with the Mir castle – a “must see” sight included into UNESCO World Heritage list. The successful blend of Gothic, Baroque and Renaissance architecture makes Mir Castle one of the most impressive castles in Europe. 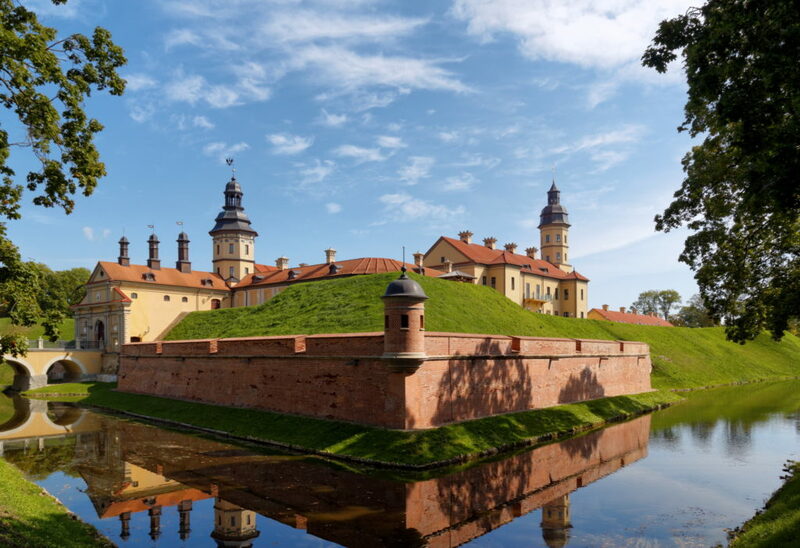 Morning visit of the most beautiful Belarussian castle – baroque Nesvizh Castle which gardens are a particular attraction, with ornamental lakes, and beautifully landscaped gardens. No wonder that it castle has been recognised as part of the World Heritage by UNESCO. 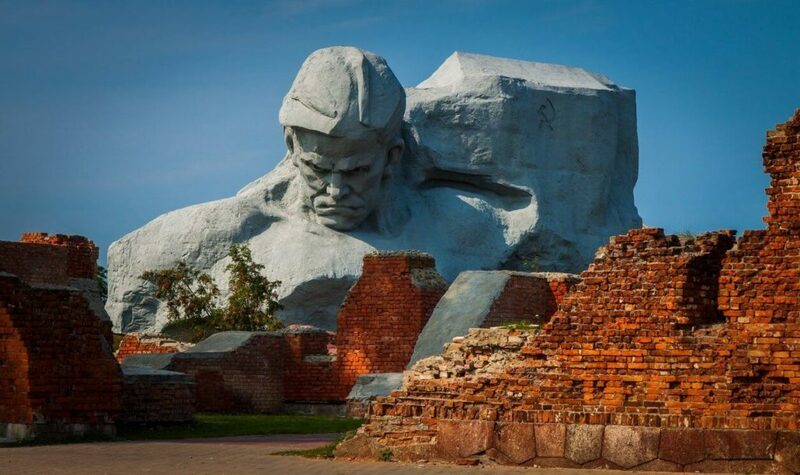 Morning Brest city tour includes visiting main city churches, streets, squares and famous Brest Hero Fortress, a Soviet style war memorial, the largest tourist attraction of the city. The fortress earned the title of Hero Fortress for the courage demonstrated by Soviet soldiers when they fought against the Nazis army in 1941. Whilst the Nazis took the town of Brest – 90% of which was destroyed in the fighting. Today you can find here a large complex with several museums. This morning is booked for the sightseeing of Grodno, one of the most ancient cities of Belarus. During the tour you will see historical buildings of different epochs and the temples of different religions – a traditional Belarusian tolerance that was typical of their worshippers – Catholics, Russian Orthodox Christians, Protestants and Jews. In Grodno you will see the oldest working tower clock in Europe and the first pharmacy building in Western Europe. 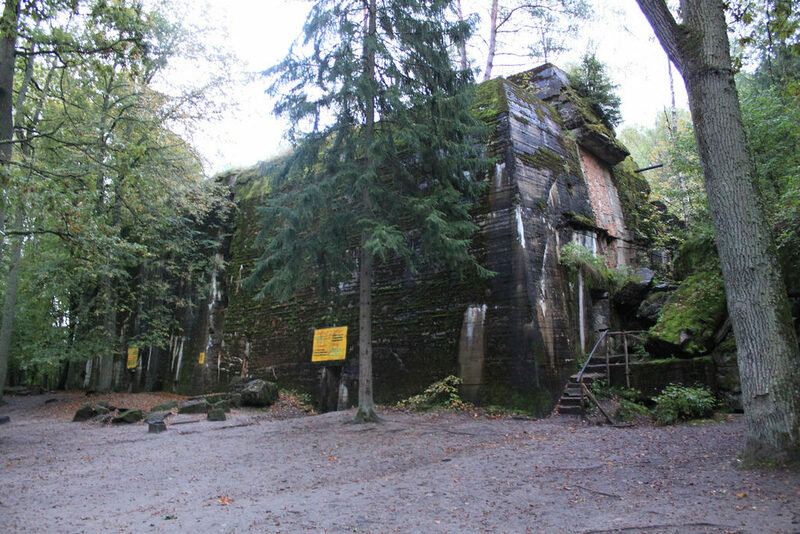 Departure to Kaliningrad and stop en route for a visit of “Wolf Lair” in Poland, former Hitler’s field headquarters where he spent over 800 days during World War 2. It’s a hidden town in the woods consisting of 200 buildings. 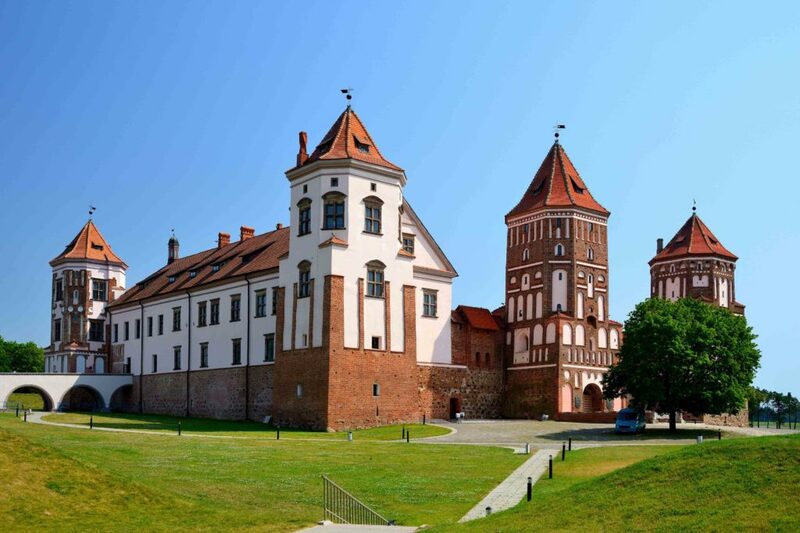 Your day will start with Kalinigrad city tour to hear about 600 years of the city history and how people of different nationalities shaped the look of the city. You will see main historical highlights including the Konigsberg Cathedral, Amber museum and Immanuel Kant museum, the city’s most famous former resident. Afternoon visit of Svetlogorsk – Russian seaside on the Baltic coast. This area was very popular with German vacationers in the 19th century who would come to this spa town to take in the sea air and therapeutic waters. During our visit we can see the Art Nouveau bath house, 19th century water tower or just stroll along the beautiful tree lined avenues and the promenade. Next we drive to Yantarny to learn more about the history of this amber mining region. Did you know that 90% of the world’s amber comes the only amber factory in the world located in Yantarny town? Here you’ll have the chance to find your own piece to take home as a souvenir and we’ll stop at an amber mine canteen where you’ll have the opportunity to taste an authentic Russian lunch. This morning we travel to Gdansk, Poland. 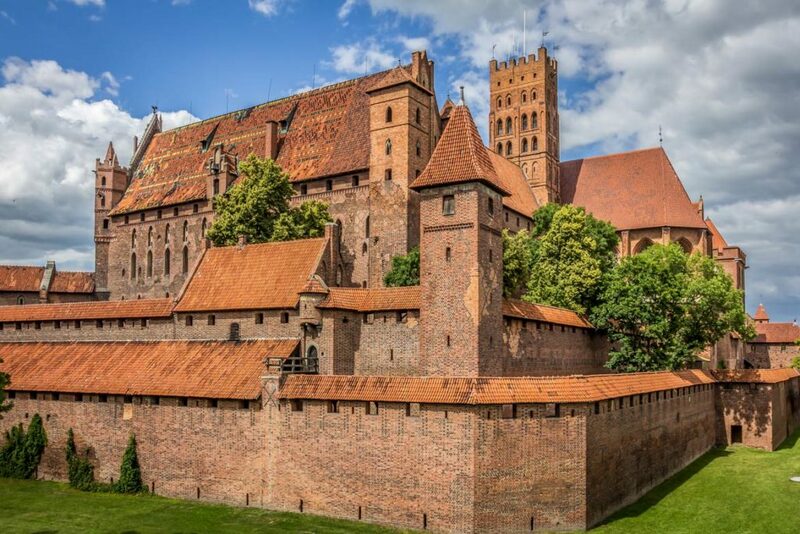 En route we will visit the impressive Malbork Castle. Built by the Teutonic Knights it’s an outstanding example of the castles that were created all over medieval Europe to help protect the frontiers. It is the largest castle in the world by surface area, the largest brick building in Europe and a UNESCO World Heritage Site. Free evening in Gdansk. In this distinctive maritime city you will not feel like in the rest of Poland. Its architecture has been influenced by the wealthy merchants that have passed through the city’s port, as well as the Prussian Teutonic Knights and Slavic Poland. Today you will explore Gdansk and its picturesque surroundings. 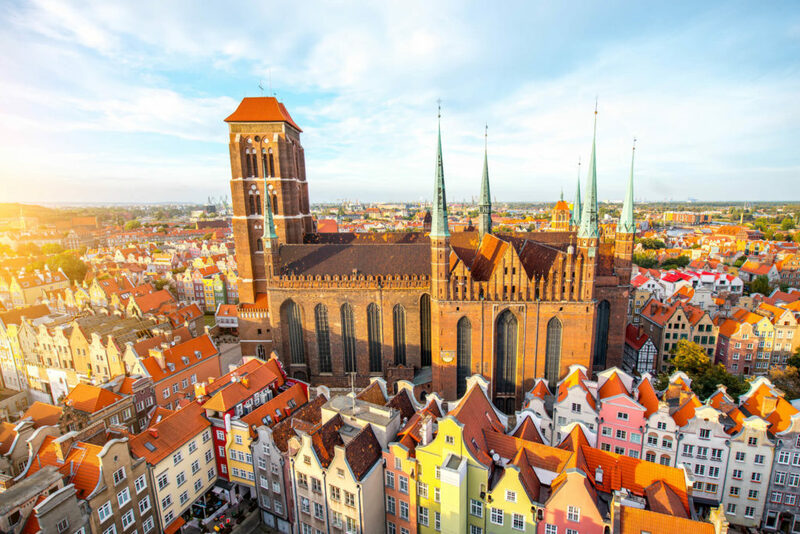 Gdansk city tour will introduce you to almost 1000 years of the city history and show the main sights of destroyed and later restored Old Town during the WW2. 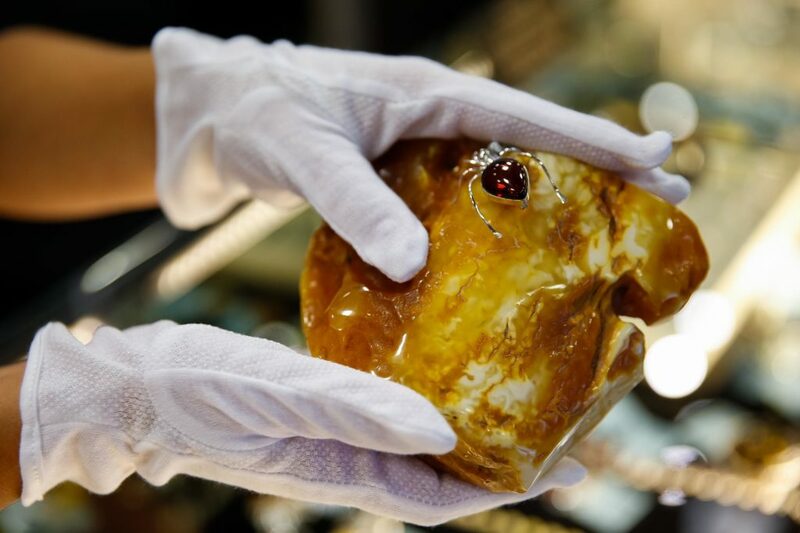 If you have not bought a nice piece of amber jewelry, yet, you can definitely pick something at Mariacka Street, famous for its terraces full of amber jewellery. In the afternoon you will visit neighboring seaside resorts – Sopot and Gdynia. Walking along the pier and admire Art Nouveau architecture in Sopot and continue to the leading Polish port – Gdynia with a beautiful frigate “Gift of Pomerania”. On the way back you will stop at the place where World War II started. Here you will see the Westerplatte Monument commemorating the heroic defense of Poles against Nazis. Breakfast at hotel. Transfer to the airport. Departure.